It's no secret that I love flowers -- they bring me so much joy!! If I could live in a house made of flowers, I probably would ;). While my love of all things floral may skew my opinions in some ways (bigger is always better!! ), what remains true is that your wedding florals will make a huge impact throughout your day. Your florals will be one of the most photographed items on the wedding day and included in almost all of your images. Careful thought and attention should be paid to the style, look and feel of your flower choices. In today's installment of the DZP Wedding Planning series I share practical tips on how to make an impact with your wedding flowers!! 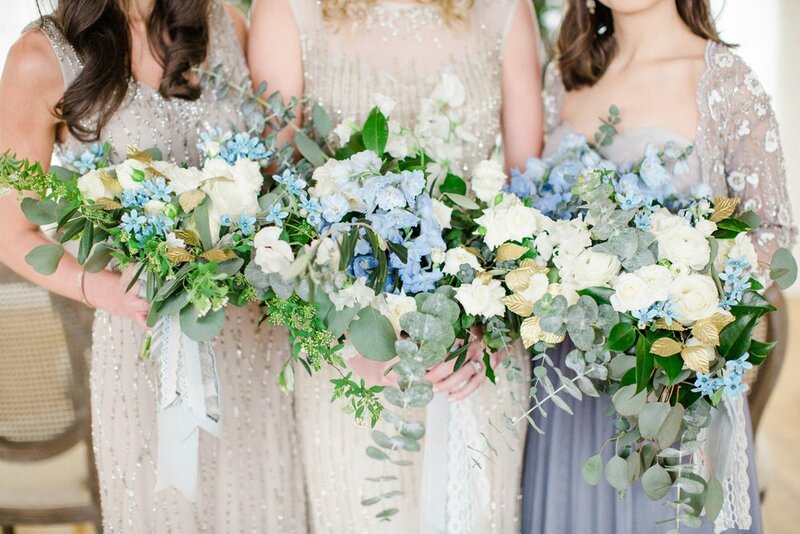 Do my floral selections match the theme of my wedding day? What is the color palette of the wedding? What type of material is my dress made of? What are the color of my Bridesmaid dresses? Having a thoughtfully designed wedding bouquet that I can incorporate into your images, helps me tell the story of your day through color and design. Additionally, flowers add an element of beauty and interest into your images. Your bouquet will be incorporated into almost all of your images and will one element that helps tie everything together -- and you just thought it was something to hold!! If wearing a white dress, consider carrying a bouquet of colorful or pastel hued flowers. Often a white or cream bouquet can be lost against a white dress or background. If you're interested in having your wedding considered for publication, editors pay particular attention to the wedding flowers. They are looking for floral design that advances the story of the day and that evokes a feeling and cohesively brings together the theme of the wedding day. Ask your florist for ideas and inspiration on how you can include unique floral elements throughout the reception. Are there places in reception where flowers can be used in an unexpected way? Don't just go for a floral centerpiece - think about how you can uniquely design a table scape using florals to give your guests a unique experience. Often the Ceremony can be overlooked when it comes to floral design. Your Ceremony is the first experience your guests will have of your wedding - where you stand to say your vows is directly where you guests will be focusing their attention.